Zain Group's strategic investment in neXgen Group. Zain makes strategic investment in neXgen Group, forming a ‘smart city’ business unit. 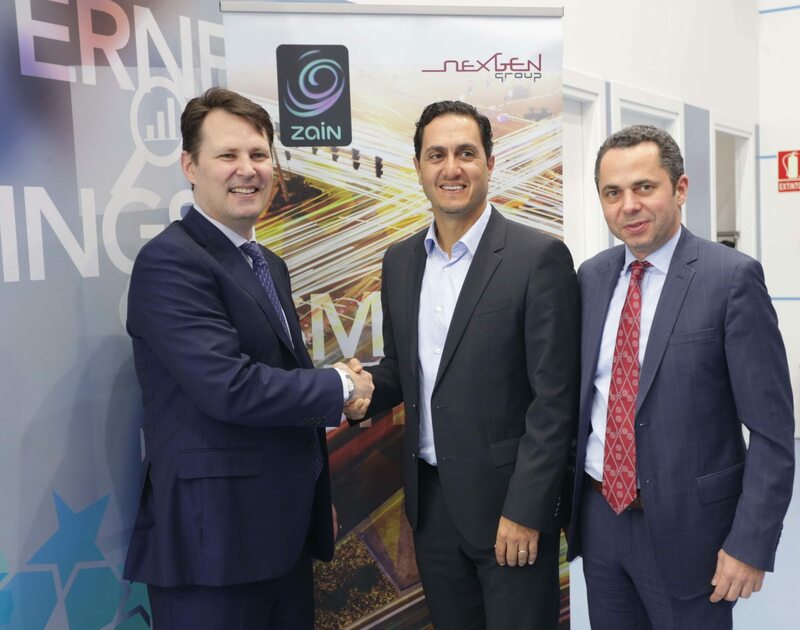 Zain Group, a leading telecom innovator in eight markets across the Middle East and Africa, announces a strategic investment in neXgen Group, a leading smart city advisory and consulting services provider based in the UAE. The investment will lead to the establishment of a specialized business unit delivering smart city services to governments and mega real estate developers facilitating the deployment of smart city solutions and managed services across Zain’s regional footprint. The investment in neXgen Group was announced at the Mobile World Congress in Barcelona at a signing ceremony attended by Zain Group Chairman Asaad Al Banwan, Zain Group CEO Scott Gegenheimer, neXgen MD Ghazi Atallah, senior executives from Zain and neXgen, as well as industry figures and international media. The agreement comes exactly twelve-months after a strategic cooperation partnership was announced between the two entities. Both Zain and neXgen hold strong opinions that the power of mobile internet is a driving factor to unlocking the potential of how people live their lives and transforming how they conduct their business. The companies are in agreement that with the confluence of Smart Technologies and Services, the Internet of Things and the power of data, smart city developments will enhance the lives of millions of people across the region. The newly established business unit will focus on delivering smart city solutions and managed services and will include design and integration for applications including smart living in city districts, smart safety and security, smart education and health, and smart metering for the utility sector among others. The concept of smart cities relates to the use of Information and Communication Technologies (ICT) to enhance performance and well-being, to reduce costs and resource consumption, and to engage more effectively and actively with citizens. A smart city should be able to respond faster to city and global challenges than one with a simple transactional relationship with its citizens. Zain’s investment in neXgen Group builds on the establishment of the Zain Digital Frontier and Innovation (ZDFI) business unit, which is charged with launching Zain into the digital space with the view to growing the company through new innovative business streams that add to Zain’s customer service offerings. ZDFI focuses on the areas of innovation; digital services; corporate venturing; and smart cities.